Genuine OEM Brother Ink Cartridge Bundle Pack, 400 page yield. Bundle pack includes: one Cyan (LC51C), one Magenta (LC51M), and one Yellow (LC51Y) ink cartridge. 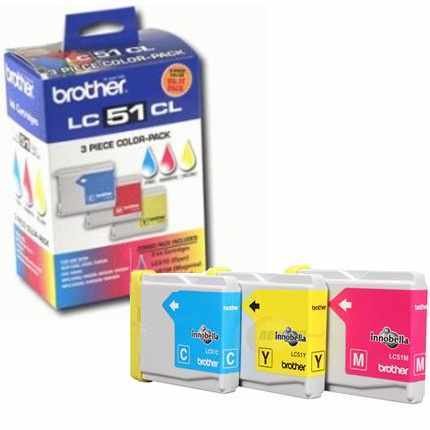 Brother part number: LC513PKS, LC51CL.